Grinnell, Iowa – (ArmsVault.com) – Learn about the hottest new Brownells products from the best brands at the New Product Center. Hosted by Merchandise Manager Paul Levy, the videos review what’s new, and remain at the New Product Center page for several weeks. Then the videos are archived on the Brownells YouTube channel, and are accessible at any time. Lone Wolf AlphaWolf Barrels For Glock®. Barrels drop into popular models of Glock pistols and are fluted to save weight and have rifling that accommodates cast lead, plated or jacketed bullets. Conversion Barrels quickly change .40 S&W and .357 Sig pistols to 9mm. Threaded Barrels have muzzle threads that accept a wide variety of muzzle devices or suppressors. AlphaWolf Barrels For Glock®. $149.95 retail. AlphaWolf Conversion Barrels For Glock®. $149.95—$169.95 retail. AlphaWolf Threaded Barrels For Glock®. $169.95 retail. Lone Wolf Ultimate Adjustable Trigger With Trigger Bar. Machined billet aluminum trigger drops into Glock® pistols and can be adjusted for pull weight without removal. Has oversized safety spring and lever that fits flush with the shoe for maximum comfort when shooting. 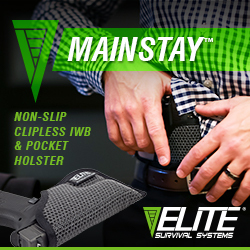 Designed for Gen 3 and Gen 4 Glocks. Gunsmithing may be required to fit Gen 1 and Gen 2 Glocks. Will not fit Glock 42 or Glock 43. Lone Wolf Ultimate Adjustable Trigger For 10mm/.45 ACP, #100-803-036. $74.95 retail. Lone Wolf Ultimate Adjustable Trigger For 9mm/.40 S&W/.357 Sig, #100-803-037. $74.95 retail. Lone Wolf Complete Glock® Reference Guide (#100-803-019). Book has more than 300 pages and 400 photographs and is full of diagrams and technical specs for all Glock handguns. Includes detailed reports of an extensive torture test of a Glock G23. Gives diagnostic checklists and serial number listings. $29.95 retail. Elite Tactical Translucent Magazines For 9mm Glock®. Tough polymer double-stack magazines are see-through to give instant reference for round count and ammo type when loaded. 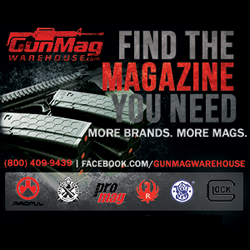 Mags are fully-compatible with aftermarket base plates, and reliably lock the slide back when empty. 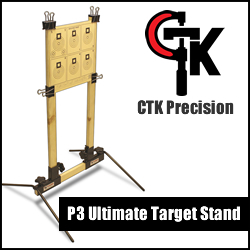 They readily drop free when ejected and are designed to be easy to disassemble for cleaning. Translucent Magazine For 9mm Glock®,17-round, #100-019-258. $16.95 retail. Translucent Magazine for 9mm Glock®, 22-round, #100-019-260. $21.99 retail. 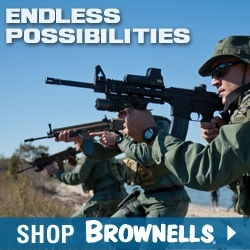 Serious About Firearms Since 1939™, Brownells is the world’s leading source for gun parts and accessories, ammunition, gunsmithing tools, survival gear and archery. With a large selection of both common and hard-to-find items, and an extensive collection of videos, articles, and gun schematics, Brownells is the expert for everything shooting-related. Committed to maintaining our great traditions, Brownells has more, does more and knows more – and guarantees it all, Forever. For more information or to place an order, call 800-741-0015 or visit Brownells.com. Stay up-to-date with Brownells on YouTube, Facebook, Twitter and Instagram.